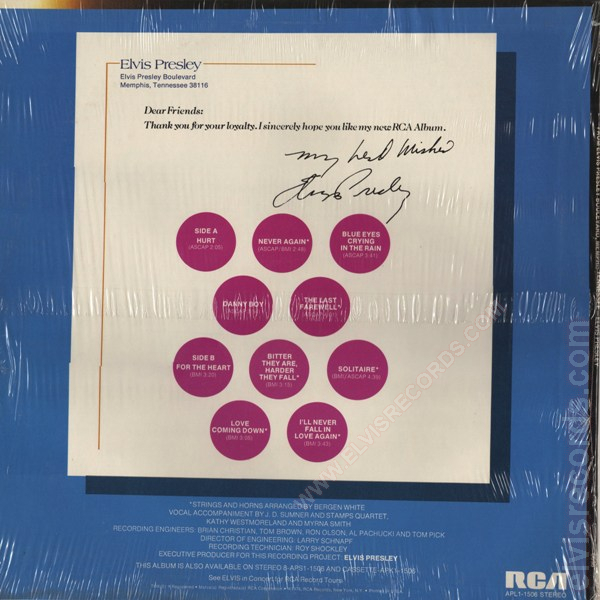 Cover Front: Catalog number upper left corner. 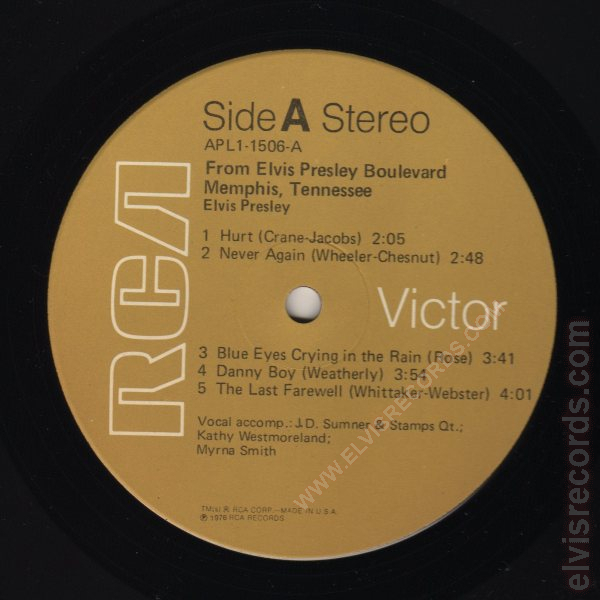 RCA logo lower left corner. 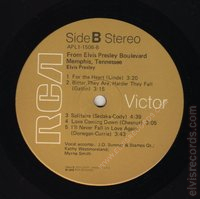 Cover Back: Catalog number and RCA logo lower right corner. 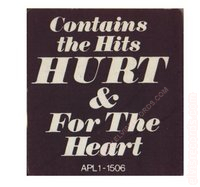 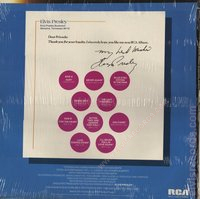 Stickers: APL1-1506 applied to shrink-wrap announcing "Hurt" and "From the Heart." 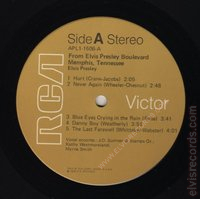 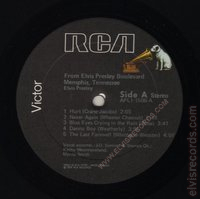 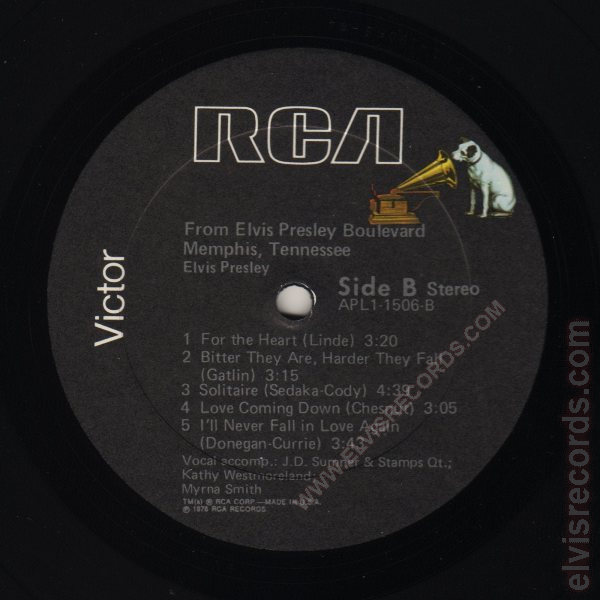 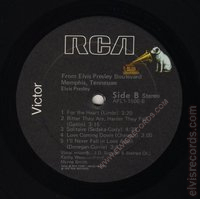 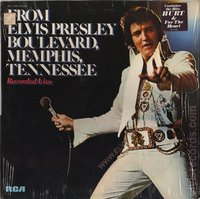 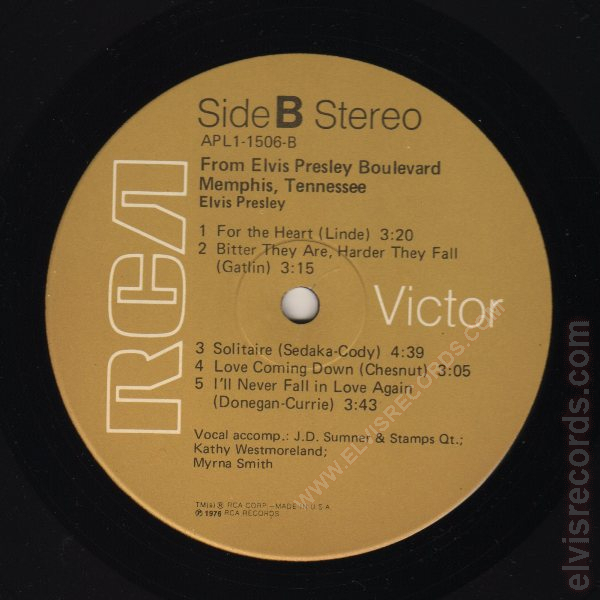 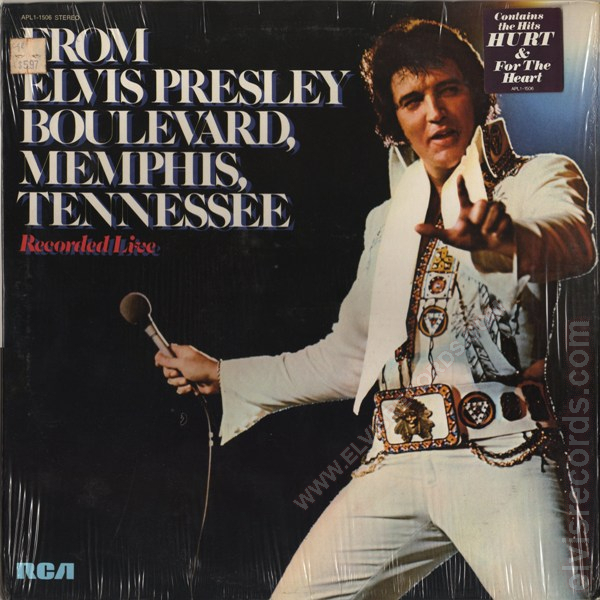 Re-released as AFL1-1506 From Elvis Presley Boulevard Memphis, Tennessee.